Screenshot showing list of connected devices and detail of selected device. List of test cases of selected device is displayed. 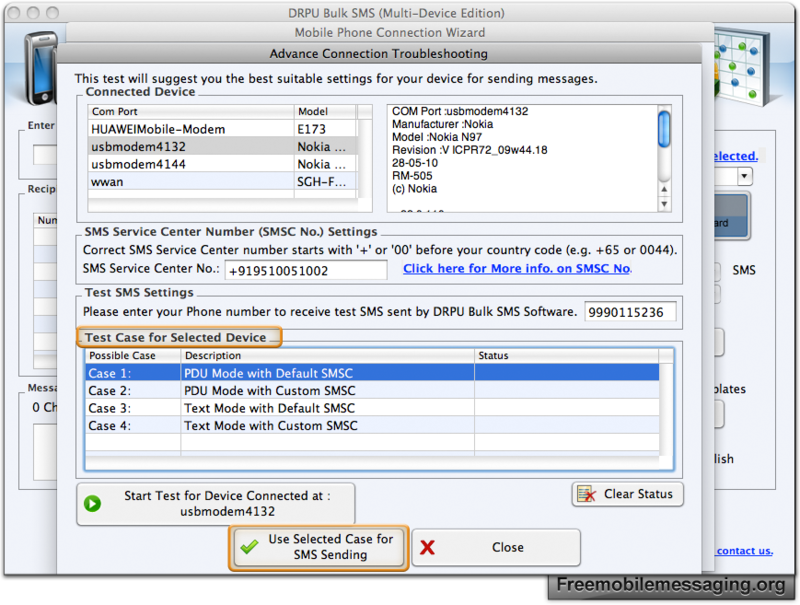 Select test case for sms sending and click on 'Use Selected Case for SMS sending' button to proceed. 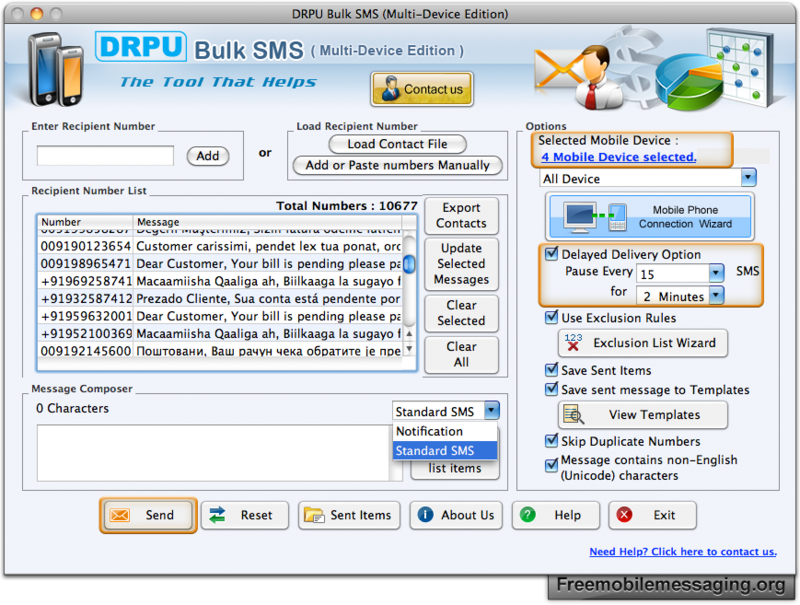 Check features showed at right side that you want to use during sms sending process. 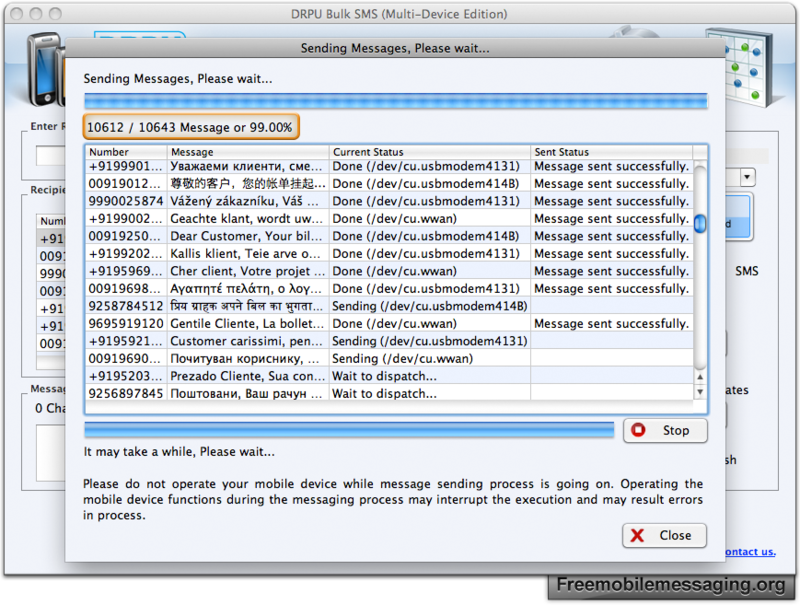 Screenshot showing current status of messages sending process.